The furniture is the most important decorative assembly in the house. Not only, it is a utility, but also it acts as decorative items. A home without furniture appears as if a woman without ornament or makeup. So, these are very important in order to enhance beauty of the place. The most important member of furniture family is sofa set. It helps in adding charm as well as elegance to the place. Imagine a romantic evening when you sit over this, having the cup of coffee, while enjoying the beauty of your home. This is certainly the most common instance which you can share. 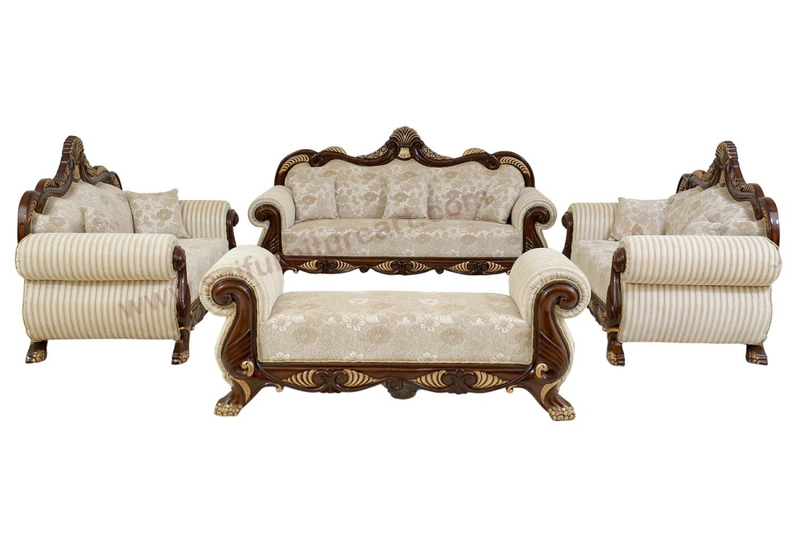 The sofa set manufacturers are offering their range in plethora of designs and shades. These are available in wide range of materials in order to meet the diversified requirements of the market. None of the material can beat the Wooden Sofa Set. The reason being, this variant offers elegance. This segment adds royalty to the place. The artists are powering their range artwork. Using advanced machinery, they carve impressive designs and motifs on the wood in order to make their collection more attractive. Along with this, high density foam and cushion covers are also provided so as to add beauty to them. Thus, the whole combination would be wooden frame, foam and cushions. Nowadays, the customized sizes are available in the market. The requirements of the buyers is different. They pick the collection according to the available space. So, the manufacturers create the collection as per the requirements of the buyers.